Siobhan is a designer who likes to make ideas visible. 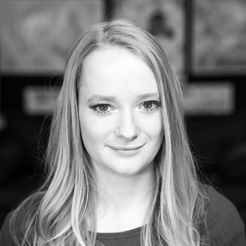 She works across visual, physical and digital mediums to create engaging user experiences. A graduate from RMIT University with a Bachelor of Design (Industrial Design), her background provides her with strong foundations in a range of materials, methods, and user centered design principles. During this time she was awarded the John Storey Memorial Scholarship enabling her to also complete studies at TU/e Eindhoven, in the Netherlands. Whilst abroad she undertook a project called Sharing Product Behaviour, which focused on interactive lighting systems. In her Honours year, Siobhan designed & facilitated Creating Curiosity, a series of workshops for school groups, with the purpose of teaching design thinking strategies & amplifying the role of design in the student’s lives. Working at Conversant has enabled her to build upon & develop the notions of learning she pursued in this program design. Siobhan loves to travel. She is most proud of her creative work completed whilst volunteering for a local NGO in the Philippines. Back home, she remains active in the local design community, having served on the volunteer committee of AgIdeas – one of Australia’s premier design forums – and as a current member of the Design Institute of Australia’s – Emerging Designers council. Above all else, Siobhan values design that makes a tangible impact in her community. She enjoys finding new & creative ways to bring Conversant’s principles to life for her clients and working together to design & orchestrate meaningful learning experiences.